Lawmakers moved closer Monday to giving some — but not all — Texans more say over the property taxes they must pay cities, counties and special-purpose districts each year. But long-brewing tensions within the Republican party ignited after the House passed key property tax legislation in a 105-41 vote. Amid accusations that Senate Bill 1 won’t apply to enough Texans, state Rep. Dennis Bonnen, R-Angleton, said the bill is the best bet for getting property tax legislation through both chambers. The chambers’ differences over property taxes partially led to Gov. Greg Abbott calling lawmakers back to Austin for a summer special session. Lawmakers are still negotiating key differences in the House and Senate versions of the bill — bargaining chips that could help get another legislative sticking point, school finance reform, across the finish line by Wednesday's deadline. "We are trying to bring school finance reform," he said from the House floor Monday, but later declined to comment on any potential deals. The Senate is expected to consider a version of House Bill 21 — the lower chamber’s school finance measure — when it reconvenes Monday evening. 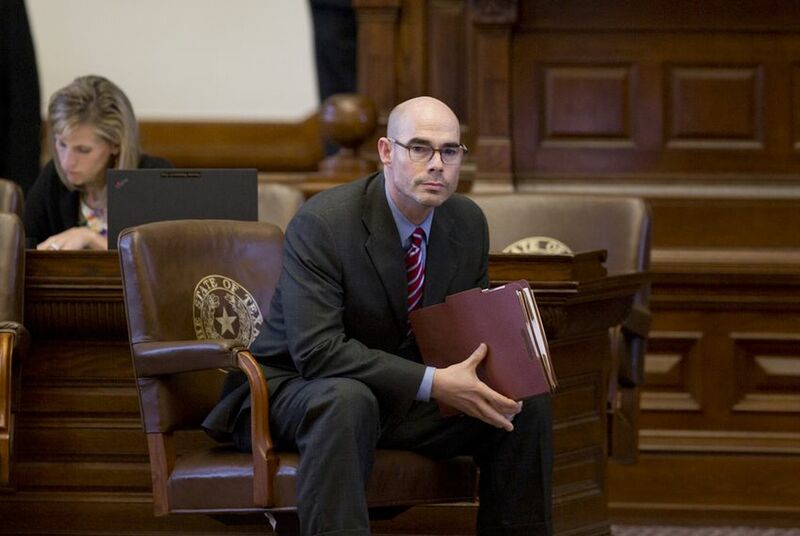 Bonnen's comments — and some sweeping, last-minute changes he made to the Senate property tax measure from the House floor — came just days after he warned that any House amendments would kill the bill and possibly trigger a second special session. The amendment Bonnen added Monday is meant to make it easier for average Texans to understand how the complicated property tax system affects their individual bills. That includes requirements that landowners be provided clear-cut information about how the tax rates local entities set impact what they pay. Meanwhile, some conservative lawmakers were incensed Monday that a bipartisan group of more than 50 House members successfully blocked them from adding their own amendments to SB 1. At one point, Bonnen and Tea Party firebrand Jonathan Stickland argued over the bill and legislative tactics that squashed other potential amendments. Stickland, R-Bedford, criticized Bonnen for “behind-the-scenes dealings.” He also said the bill is not strong enough because it only requires voter approval of some property tax rates in larger cities and counties. “I just want to treat every Texan the same way,” Stickland said. After Monday's vote on SB 1, the House’s attempt to move on to other business was briefly derailed as a large crowd of lawmakers formed around a heated private argument between Rep. Matt Krause, R-Fort Worth, a member of the House Freedom Caucus, and state Rep. Chris Paddie, a Marshall Republican who had defended Bonnen’s maneuver. The group disbanded after House officials asked them to take their seats, and Krause and Paddie separated.